Cut large tomatoes into thick slices. Pick up fresh mozzarella and cut it into thin slices as well. 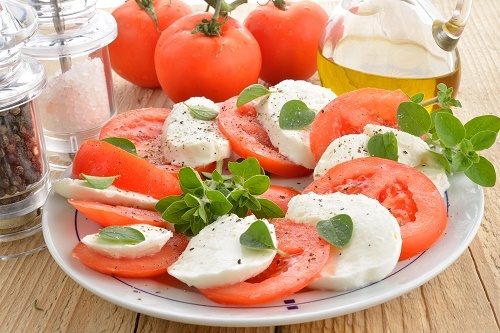 Arrange the tomato slices and the mozzarella slices around a plate and decorate with basil. Season with black pepper and sea salt, and drizzle olive oil over the salad.